Become a fan of Carbon Dioxide on Facebook! NEW! 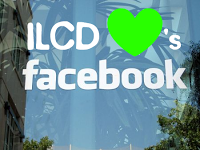 Now all you facebookaholics can show your appreciation for all things green on our facebook fan page. Comments, suggestions, and word of mouth marketing are all appreciated. Check us out here and become a fan today!